Gili Air Port Lombok Indonesia is located on the main public port on Gili Air. It is exactly in front of the Ocean Five Dive Center. This port is the main port for any sea activities such as local boat transfer from Lombok. 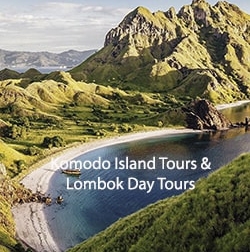 The island becomes one of the main tourism business on the North Lombok Regency. 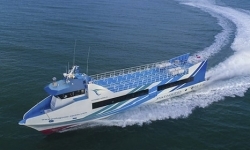 The fast boats from Bali or Lombok are coming straight to the Island. The almost bring more than 100 visitors per day. The harbor activities are very busy in the last few years for whole day activities. Numbers of visitors are rapidly increasing every year. If you stay on the Gili Air, take horse cart (Cidomo), bicycle, or walk on foot from your hotel. 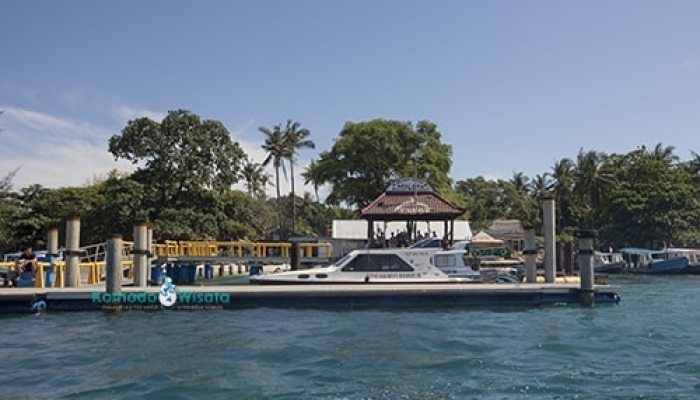 If you are on Gili Meno and Gili Trawangan, you can get on a local boat to get to the harbor. 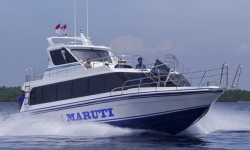 Local boat and speed boat from Lombok is available at any times until 05.00pm. Fast boat from Bali to Gili Air. 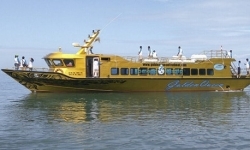 Getting to Gili Air by fast boat will take about 1 ½ hour from Padang Bai and 3 hours from Sanur. The local boat from Bangsa, Lombok to Gili Air takes 25 minutes. If you get on the speed boat, it takes less than 10 minutes from Bangsal. And from Teluk Nare is about 10 minutes. 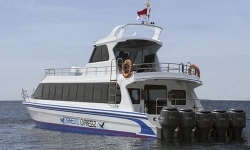 Remember that all fast boat operator is not providing the free transfers on Gili Air. So you have to come by yourself to the port. Accommodations near Gili Air harbor are available like Ocean five bungalow, 7 seas bungalow, and villa Karang. These accommodations are close to the port. So you are easy to reach the port by foot if you stay around here. Always show your ticket to the right fast boat operator. Read your ticket and see the fast boat operator’s names on your ticket. This is to avoid people who are trying to scams you and asking to buy another ticket. Contacts are on the top of your ticket, both operators and ours. So don’t need hurry, ask us if you find a problem. Talk directly to the boat operator on the beach if not really clear. Most fast boats have no office on Gili Air so you have to wait for the boat coming. And check-in direct to the boat staff. The Harbor is always busy in the morning and afternoon as well for the activities. So you need to wait until the boat operator staff finish their uploading passengers. For more information, please check on your Gili Fast Boat tickets. And for bookings, go to the search box and find the best price you want.